If you’re reading this then you’re probably trying to find a Kinsta coupon to save money on your WordPress hosting plan. If you got here from Google, this is exactly why we don’t currently support coupons or discount codes. We also prohibit using these terms (coupon, coupon code, discount, etc.) in our affiliate program. Check out all the reasons why we have decided not to offer Kinsta coupon codes and how it actually benefits you. Important: We do offer a way to get 2 free months of hosting. There are a couple reasons why we don’t offer Kinsta coupon codes. 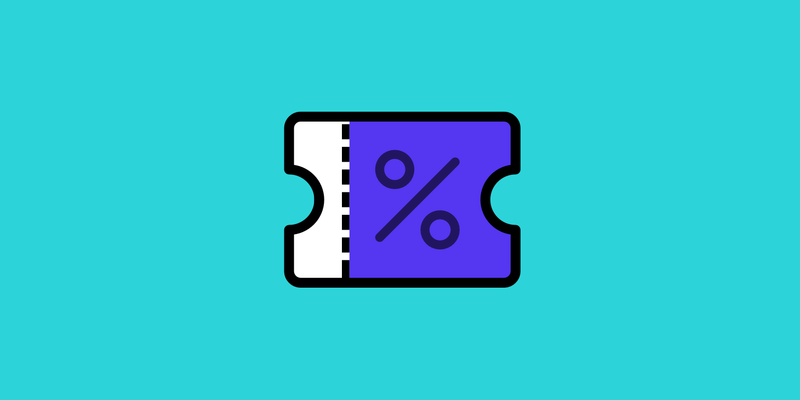 The first reason we don’t offer coupons is that we price our hosting plans accordingly based on the average usage we see from own clients (both small and large). This data has been compiled over many years from thousands of clients. We are not in the business of marking up our plans by crazy percentages just to then be able to offer a coupon code. Yes, we also take competitor’s pricing into account, but it’s not the number one factor driving the pricing of our hosting plans. Our prices reflect that of the high-quality service and support that we offer. With that being said, if you compare us with other similar providers, such as WP Engine, our prices are in fact lower. Check out the differences between Kinsta and WP Engine. 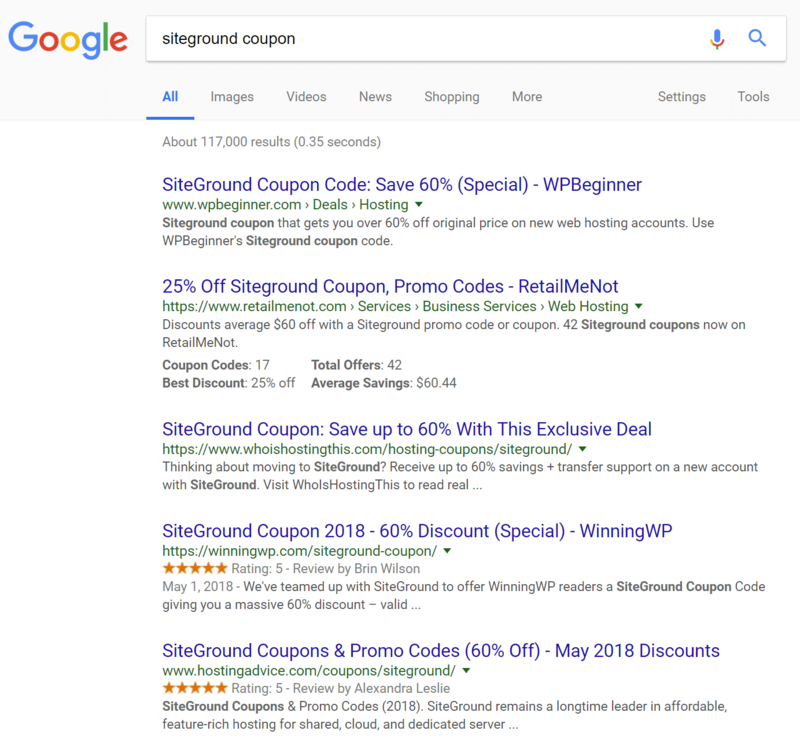 If you search for a coupon code of one of our competitors you’ll probably see hundreds of results that go on for many pages. The problem with handing out coupon codes for 60% (as seen below) means these companies are not pricing their plans based on the quality of service, it’s simply a marketing ploy. At Kinsta, we prefer to simply be upfront, transparent, and give you the best pricing. Handing out coupons like this also generates a lot of spam in SERPs and it’s impossible to control the quality once you go down that route. You will have hundreds of “biased” sites saying anything they can to try and get you to use their coupon code. We take our brand and reputation very seriously and don’t want to dilute it with thousands of coupon codes and discounts that may or may not be accurate or up to date. This simply causes frustration for customers. Will we offer coupons down the road? Perhaps, but currently, this is where we stand on the issue. We do have one exception to the rule and that is for holiday promotions. For example, we typically offer discounts on Black Friday as well as some other popular holidays. However, these are always temporary. Misrepresentation of services: You may not misrepresent the spirit of Kinsta. This includes (but is not limited to) misleading customers, providing non-existent discounts, falsely stating plan or other information. Usage of coupon sites: You may not add your affiliate links to coupon sites under any circumstances. These conditions are not meant to discourage you as an affiliate but rather re-focus your attention. We have many affiliates earning large amounts of passive income each month thanks to our recurring commission model. How do they do it? They focus on showing their readers or clients the quality of service, support, and features that Kinsta offers. Check out how Kinsta is different. Everything on our system is automatically prorated. You can upgrade and downgrade with a single click from the MyKinsta dashboard. We also have a 30-day money-back guarantee with no long-term contracts. We stand behind our service and are confident once you try Kinsta out, you’ll see why we are different.